2015 sunglasses collections are mostly out since November of last year. All brands rushed to create all the hype before Christmas. There are clear trends among fashion icons such as Prada, Saint Laurent, Tiffany, Dior, Gucci. But the market may not be warmed up for the new trends and best sellers remain classics. However, we are very excited about the sunglasses trends and think 2015 will be an amazing year. We hope more people will engage fashion and value real design! Classic cat eye didn’t do well over the past few years. Yes, every brand had many models, but most of people simply didn’t like it on their face. 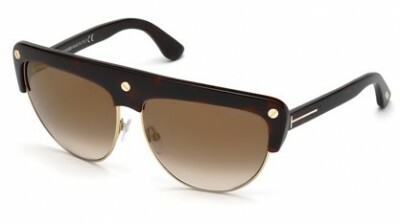 It looked cool on the shelf, but apart from Tom Ford TF5224, no vintage cat eye did well. This year, modified cat eye shape is present through out all fashion brands. It looks more wearable than the classic and for sure will get integrated among mainstream shoppers. Aviator shapes for ever will remain must have in everyone’s sunglasses collection. In 2015 we observe that aviator shape became less drippy and generally softer. New shape looks less aggressive and gives a face more likable look. Whoever has a Carrera sunglasses knows that there is nothing like it. Carrera has it’s own recognizable style. But this year is special. Almost every brand has their own take on Carrera style. With their own twist.